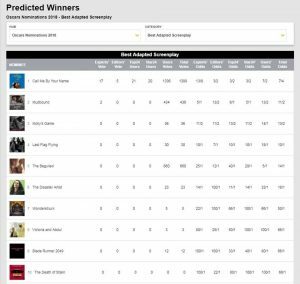 According to the site’s predictions, calculated from “experts” and users, the category with the most female representation is Best Original Screenplay (made up of 40 percent women). Yet, aside from Gerwig, each woman is credited as a co-writer with a male writing partner: The Shape of Water (co-writer Vanessa Taylor) The Post (co-writer Liz Hannah) and The Big Sick (co-writer Emily V. Gordon). Best Adapted Screenplay, too, predicts only 20 percent of women writers this year with Mudbound (co-writer Dee Rees) and The Beguiled (writer Coppola). But Coppola and Gerwig are presumably this year’s one-two punch as the predicted nominees for Best Director - the latest female nominee since 2010 when Kathryn Bigelow was the first and only female winner in the category for The Hurt Locker. 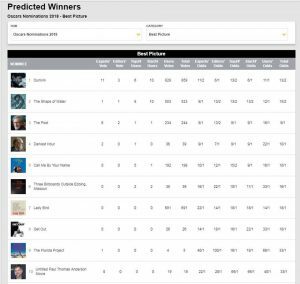 Prior to Bigelow’s win, only four women have been nominated for Best Director since the Academy Awards began in 1929: Lina Wertmuller (Seven Beauties), Jane Campion (The Piano) and Sofia Coppola (Lost in Translation). According to The Hollywood Reporter report in 2017, it makes the ratio of female to male winners 1 to 88. From the day a film premieres at a festival to the night of the Academy Awards, it endures a large sieve of male critiques, starting with film associations and working its way through box office turnout and award show campaigns. 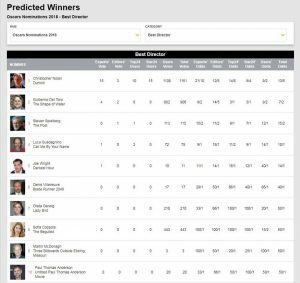 If Gold Derby can predict anything, it’s that the percentage of women in the Oscar race remains stagnant. *Percentages calculated based on top 10 films. 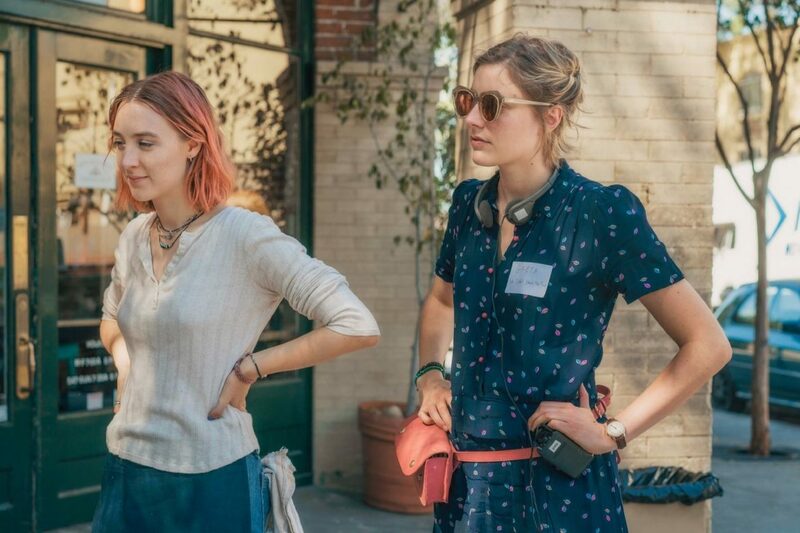 Photo: Writer-director Greta Gerwig, right, with actress Saoirse Ronan on the set of the coming-of-age film Lady Bird.